It is a unique combination meticulously prepared to provide you with best health and rich taste. 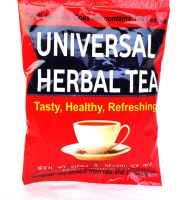 A rich aroma and flavour without the harmful tannin and caffeine becomes the USP of Universal herbal tea. It is completely a herbal production and contains quality herbs like dalchini and mulethi among others, which are beneficial for many body functions. 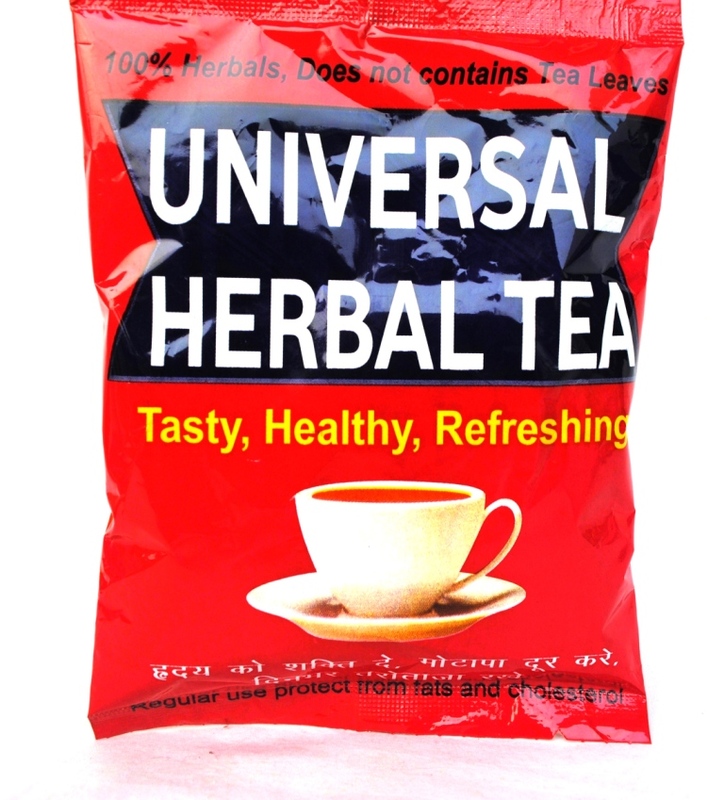 Regular use of universal herbal tea serves to improve the immunity, provides better sugar control, improves digestive functions, strengthens heart, decrease excess cholesterol and controls obesity. It relieves stress, relieves fatigue and rejuvenates you for the whole day. It is reported that regularly drinking of Cinnamomum zeylanicum (dalchini) tea made from the bark could be beneficial to oxidative stress related illness in humans, as the plant part contains significant antioxidant potential. Cinnamon has been reported to have remarkable pharmacological effects in the treatment of Type 2 diabetes mellitus and insulin resistance. Besides having medicinal qualities, it can also serve as a refreshing energy drink. 1. conventional tea- boil one tea bag with one cup of milk/water (or equivalent mixture of both) for 2-3 minutes. Remove the tea bag, add sugar to taste and serve hot. 2. lemon tea- boil one tea bag with one cup water for 2-3 minutes. Remove the tea bag; add sugar to taste and a pinch of lemon. Serve hot. 3. Ice tea- refrigerate the Lemon tea and serve chilled with ice.